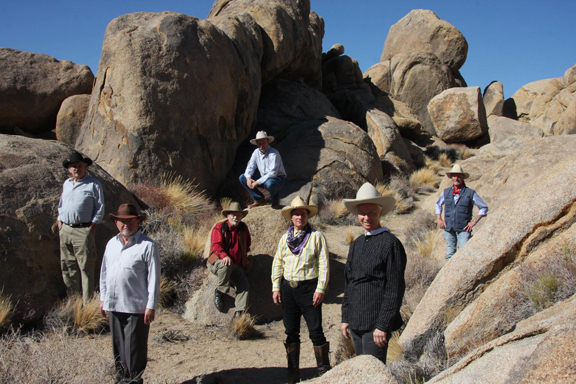 The Lone Pine Film Festival Gang captured last year, 2016, out in the Alabama Hills.
. One of these guys almost went to prison, one of them did 24-hours in the Nogales, Sonora jail, another one put a lot of people in jail and the guy who spent time in the Mexican jail thinks he has said just about enough. "I don't want any yes-men around me. I want everybody to tell me the truth even if it costs them their jobs."